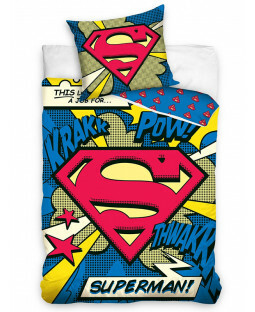 Create a Superman themed bedroom for your little superhero with our range of official Superman merchandise. 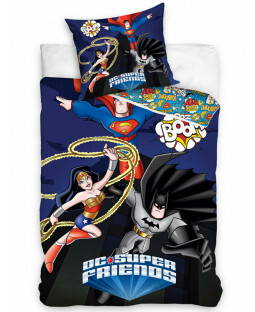 Bedding, soft furnishings, accessories and gifts give you everything you need bring their dream room to life and feature iconic images of the classic comic book character. 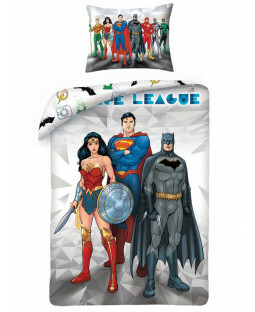 Find single duvet covers and pillow sets featuring Superman and other DC superheroes. 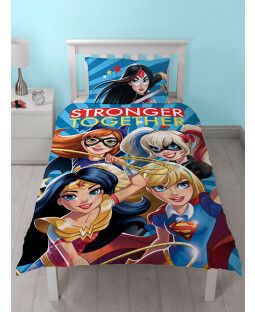 Available in a range of styles and colours, go for a pop art inspired comic look, or a duvet cover with Superman and the rest of the Justice League. 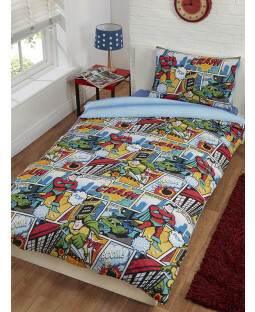 Look out for cool reversible duvet covers for double the fun! 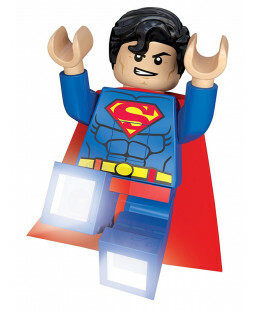 Add the finishing touches to your kid’s bedroom with some Superman accessories. 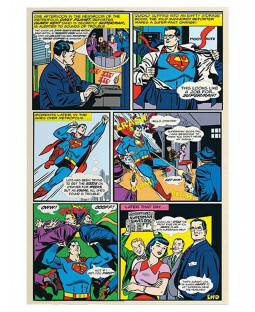 Cosy up and enjoy your favourite superhero comic books and films on a Superman bean bag or make a wall mural with some superman wall décor – perfect for the ultimate fan. 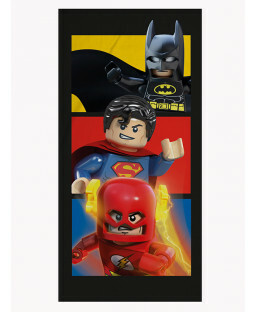 Superman gifts for kids include LED torches and beach towels featuring their favourite Man of Steel, and they’re available with free UK delivery.